For many buyers, the holidays take priority over the home search, creating a seasonal slowdown. However, in 2017, existing-home sales show that January and March were the top two producing months (year to date), leaving us to wonder if clients are waiting for a fresh start to their search. This seasonal slowdown presents REALTORS® the perfect opportunity to seek out new ways to stay top-of-mind, and start the new year on the right track when buyers are ready to continue their search. A simple gesture is all it takes to win over buyers during the holidays. A great way to stay top-of-mind is by utilizing a tried-and-true method of sending a smile: the holiday card. Holiday cards are inexpensive and easy to design. Furthermore, taking the time to design a personalized holiday card and handwriting a note are sure to let your recipient know you care. 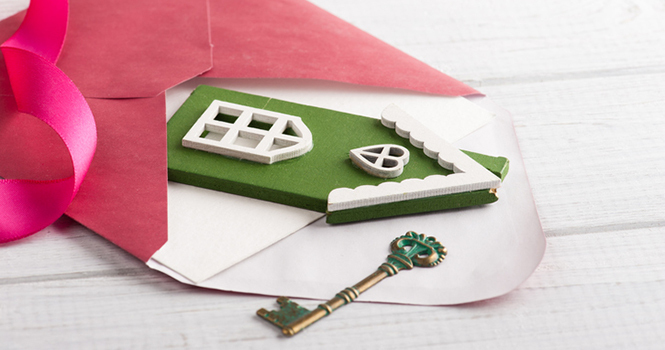 If your budget allows, you can send a gift card with your holiday card. Gift cards tend to be the easiest way to go, but there are ways to make it more meaningful. For example, if you know your client is looking to move to a certain area, find a local coffee shop or restaurant and get them a gift card from there, instead of a franchise they can find anywhere. As the community expert, you can provide buyers with plenty of helpful information during the holidays. Creating custom email campaigns to suit your client’s needs is the easiest way to achieve this. While your clients are preparing for their holiday festivities, ease their stress by creating a list of local caterers, event rental places, family photographers and other services they can benefit from throughout the holidays. This also increases the chances that these companies will refer you to someone else. For clients with smaller homes, offer tips on how they can make their small home feel larger for holiday parties. You can send sellers tips on how to decorate their home during the holidays without losing potential buyers. Take full advantage of the holiday season when creating social and email campaigns. Design your content and layouts with festive designs to spread the joy of the season. For instance, most cities or communities have their own light shows or tree lighting ceremonies each year. Send clients the times and locations of these events where they live, or will be moving to, so they can see firsthand the sense of community the area has to offer. Whether it’s through social media, email or direct mail, staying top-of-mind during the holidays is all about telling your clients that you are here for them. By utilizing these three tips, you are sure to be their top choice come the new year. If you are looking to connect with more motivated buyers this holiday season, look no further than Homes.com’s Local Connect program. New inventory is now available, just in time to start the new year off right! Click here to learn more.